I'm not particularly spontaneous, but spontaneous people are some of my favourites, I admire them. I tend to think too much about the next thing to do. I think about ridiculous little things, every consequence and so on. It makes me feel in control and I guess I fear losing that. But last week someone said to me 'Everything that you will earn in life is on the other side of that fear', which makes total sense so I really want to start learning to overcome my fears. I don't even think I like routines but when the opportunity for some spontaneity comes I just can't say 'yes' and I would really just like to say 'yes' to some random opportunities and go with the flow. I'm the worst at saying 'yes' to last-minute invitations, I hesitate and end up convincing myself I need to do something else. 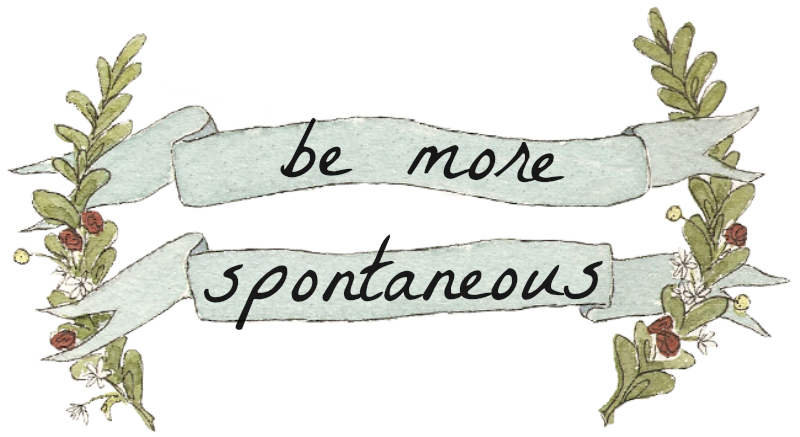 I remember I felt good on the occasions I allowed myself to be spontaneous and I want more of that in my life. This is my task for the week. Are you the spontaneous kind of people? Or not really?